Canberra’s biggest breakfast. Photos: Ashley St George. Since opening in 2017, Trecento Pizzeria & Bar in Manuka has become synonymous with serving delicious, authentic Neapolitan-style pizza. Using a 300-year-old Italian recipe cooked in a pizza oven is the focal point of the restaurant. Traditionally open for lunch and dinner, since the beginning, the whole menu has been impressive and enticing with a great selection of antipasti, pasta, sides, desserts, and wine. Now the restaurant has extended their trading hours and begun opening for breakfast. 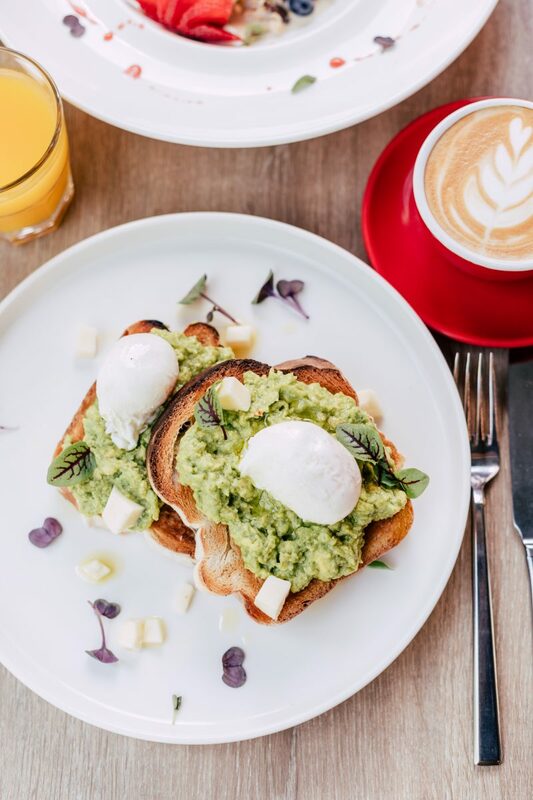 Currently, the breakfast menu has a selection of cafe breakfast favourites, from pastries to a mushroom stack, eggs on toast, eggs benedict and the perennial favourite smashed avo. The showstopper though as we discovered on a recent visit is the big breakfast stack. 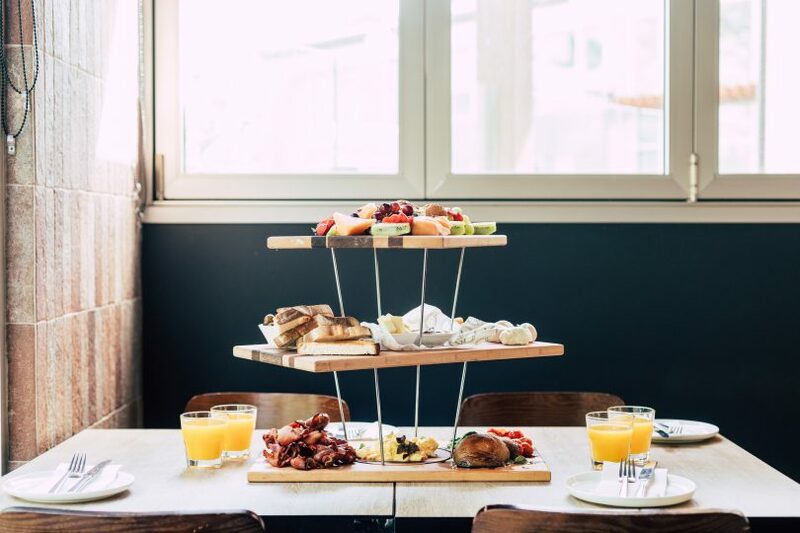 Designed to be shared, the big breakfast stack requires a minimum of 2 people to be ordered. Described simply on the menu as bacon, eggs, hash browns, sauteed spinach, roasted tomatoes, mushrooms, Italian sausage, a mixture of sweet & savoury pastries and a mixture of seasonal fruit. 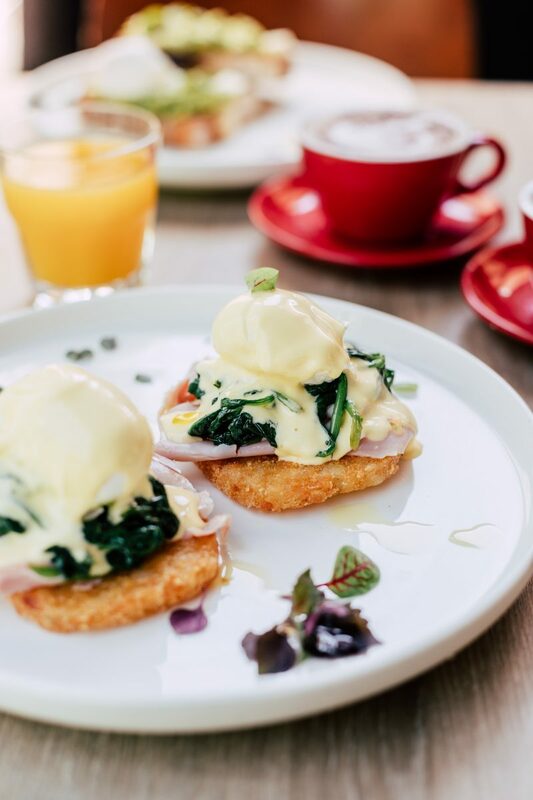 The dish certainly sounds hearty but when it arrives it turns out to a contender for Canberra’s biggest most substantial breakfast. 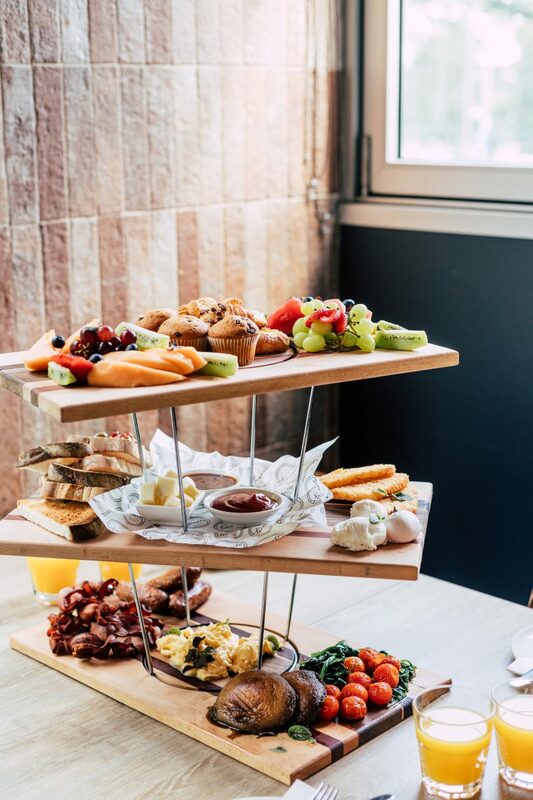 Served on a tiered custom wooden board, other diners’ heads literally turned in the restaurant as it was served to our table. It was large, grand and delicious, ultimately satisfying all our breakfast cravings. The bottom tiers featured all the hot items including bacon, eggs, hash browns, sauteed spinach, roasted tomatoes, mushrooms, Italian sausage, some of which has been finished off in the pizza oven and had been given a distinct woodfire flavour. While the top tier had a sweet selection of pastries and seasonal fruit. Trecento is located at Unit 33, Manuka Terrace, Manuka and is open Monday, 6 – 10 pm, Tue – Fri, 12 – 2:30 pm, 6 – 10:15 pm, Sat and Sun 7 am – 2:30 pm, 6 – 10:15 pm. This entry was posted in Cafés, City Guide, Food & Drink, Inner South and tagged Breakfast, Jon Kosteski, Manuka, Trecento. Bookmark the permalink. A cut and a coffee at Barbers Inc.